A magnitude 7.1 earthquake on the morning of 24 May 1968, centred close to Īnangahua, caused widespread damage and injury. 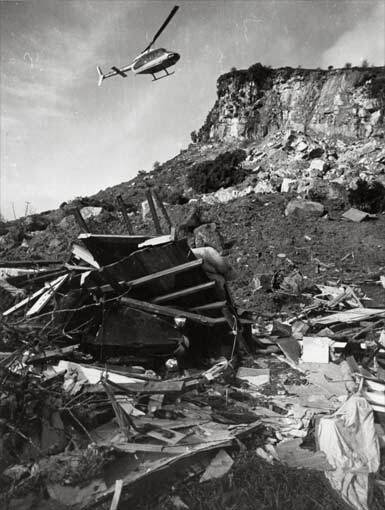 A steep limestone cliff collapsed at Whitecliffs, west of Īnangahua, causing a landslide that crushed the home of the Jackson family. The helicopter is hovering above the remains of the house the day after the earthquake. Because of the damage to roads, helicopters were initially the only way to get in and out of Īnangahua.